Ball guide wire behind the flippers? Know there was a post about this , however cannot find it. Protect playfield paint and use small flat screwdriver to pry up and it should just raise up and out. Sometimes, there are holes for it that go all the way through to the other side of the playfield. If that's the case, you can tap it out with a roll punch. If you have to pry it up, I'd first try a small pry bar. 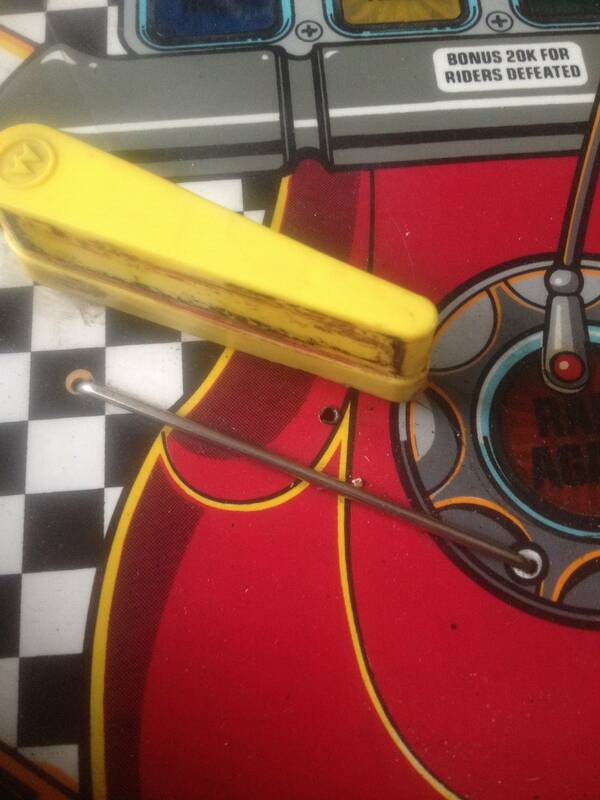 However, I try to avoid pulling those wire guides off the playfield unless absolutely necessary. Sometimes they are barbed and can cause damage when coming out. Proper name for those is Biff Bars.